Brain building lies at the very core of our teaching philosophy and it is a technique that filters through to all the different areas of our curriculum. 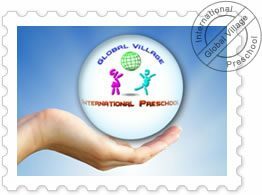 We, at Global Village, refer to Brain Building as activities that foster creative and critical thinking – the ability to analyze, interpret and find solutions for problems. This can involve logical and spatial thinking and cover areas such as mathematics, science, social studies, language and communication. What does that mean? It means that the process is as important as the result. Students can come up with different conclusions or interpretations. Sometimes they may all be right, depending on the way you perceive it. Sometimes there is only one logical solution. They will find out only after they figure out the answer. One of Global Village’s goals states that: “each student should be able to communicate effectively, obtain and use information to solve problems and engage in active, lifelong learning”.